Growing your own food and gardening are addicting. No one tells you how come late winter you’ll be pining to sink your fingers and bare toes into warm soil. You’ll have secret stashes of seed catalogs tucked under your bed and you’ll even take out your seed packets under the guise of organizing them, but we know it’s because you need a gardening fix. 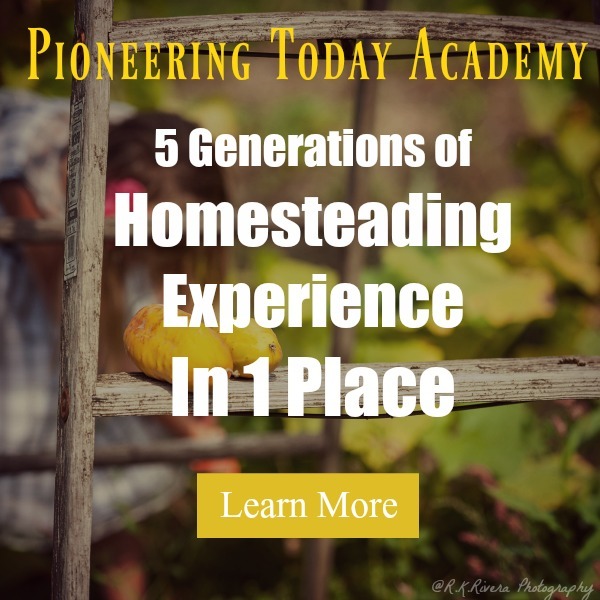 Listen below to 6 Natural Fertilizers to Improve Garden Soil, Episode #134 of the Pioneering Today Podcast, where we teach families how to grow, preserve and cook their own food using old-fashioned skill sets and wisdom to create a natural self-sufficient home, with, or without, the homestead. While it’s not warm enough for us to sow any crops outdoors, there’s a lot to be done in the garden come late winter and early spring. Seeds, seedlings, and the harvest tend to get all the glory in the gardening world, but there’s one thing we shouldn’t overlook, the soil. Your dirt is what enables all of the glorious gardening process to happen, it is the food for your plants, and eventually, the food for your family. 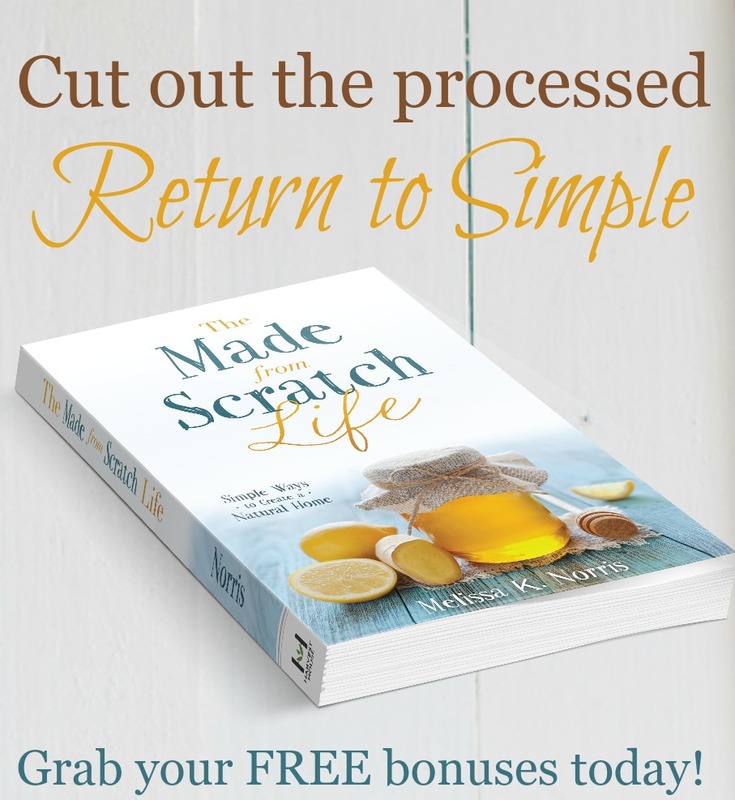 It needs to be taken care of and with just a little bit of forethought and work, it will reward you with lush tomatoes, and bushels of harvest. Most plants will still grow in slightly acidic to neutral soil without major issue. But there are a few plants that won’t thrive or grow well at all if they’re in the wrong type of soil. Blueberries, I’m talking to you, they like acidic soil and won’t do well at all in neutral or alkaline dirt. But what about other levels in your soil, how and what exactly should you be testing in your dirt. Soil testing takes out the guessing of what your soil needs. Testing lets you know what to amend your soil with so you’re not wasting your time or money. The most accurate soil testing is to take samples from several different areas of your garden and send it to a lab. Lab soil testing will not only test for ph level, but also for different nutrient levels and composition. 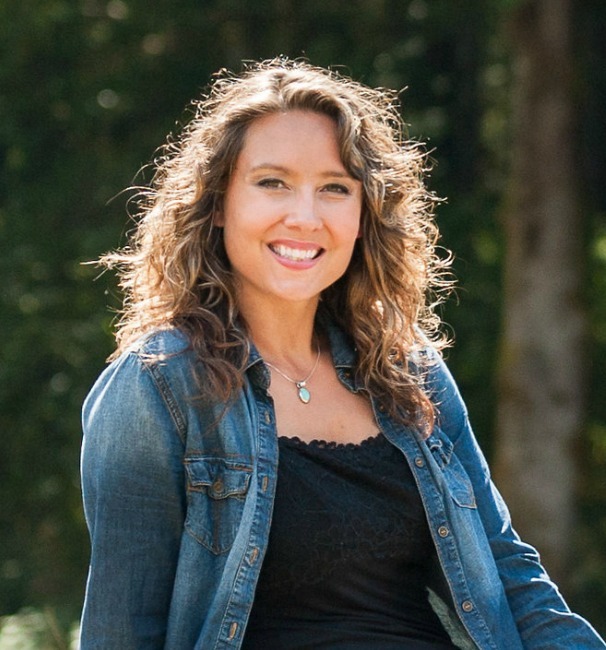 You’ll find out what your major nutrient levels are on: nitrogen, phosphorous and potassium. Some lab tests will go down further showing you trace mineral levels, like calcium, etc. Lab testing can be done at most extension offices. Check with your individual county extension office for specific details and fees. This is going to the most exact option. Use an at home soil ph test, this soil meter will measure your ph level and can be used to retest and test different areas of your garden, containers, and raised beds. This is an home test kit for your soil pH, N, P and K, but be sure to read the reviews. First off, I should state that we only use natural methods to improve our soil. I do not use synthetic fertilizers. You’ll read below that we use compost as the first line and blanket way to improve our garden soil, both the regular garden spot and in my container planting. Regardless if you’ve done any testing, you can’t go wrong with composting. But knowing what other nutrients and minerals your soil is lacking, and it’s ph level, is important. 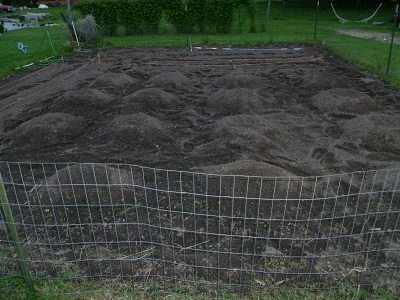 As I stated, the first route to improve your soil, pretty no matter what your test results show, is to add some compost. 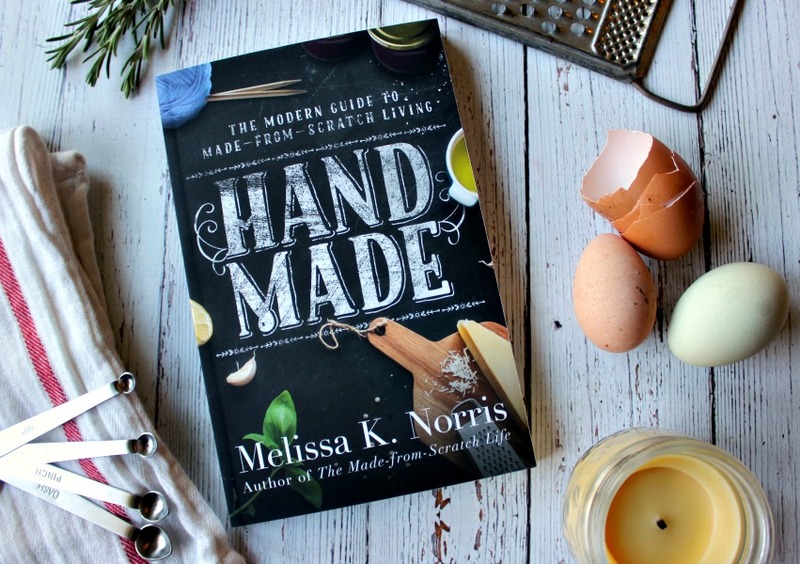 The beauty of compost is you can make it yourself. Nature does it for us and that’s a homesteaders dream. Turn your regular yard and food scraps into black gold. There’s many ways to do compost, from having a pile you turn every so often, using a tumbling system, to vermicomposting with worms. 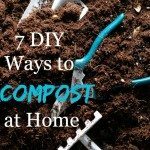 I’ve got 7 DIY Ways to Compost at Home here for you. Compost is the break down and decay of organic matter such as wood, leaves, plants, and vegetables. When ready to put into your garden and soil, compost should be a black, crumbly and fluffy (not wet and stinky), dirt like substance. Compost helps feeds the soil and acts as a holding sponge for your fertilizer. Fertilizer and compost are not the same thing, though many folks will use the term interchangeably. 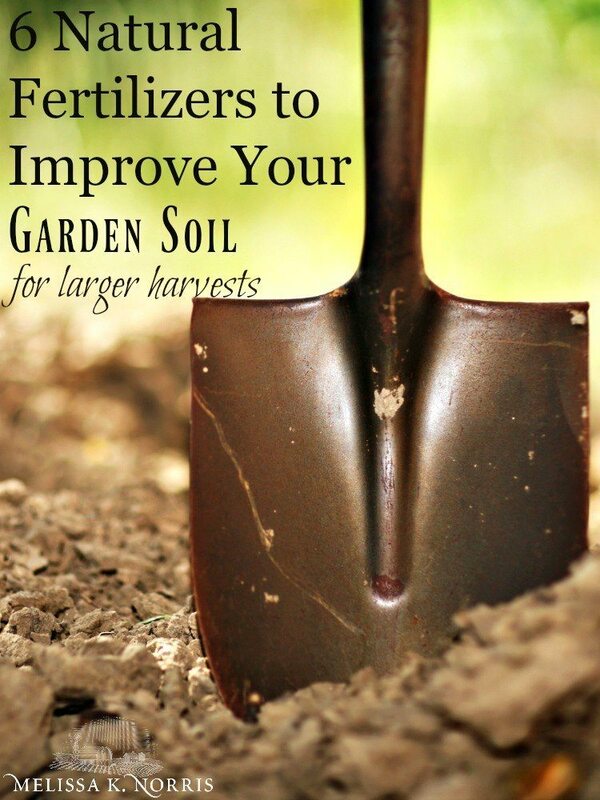 Fertilizer is used for specific nutrient deficiencies in your soil. This is where having your soil tests come in handy, but honestly, I don’t use a soil test every year to fertilize. Below is my list of organic fertilizers we use. The advantages of organic fertilizer is they not only provide nutrients your plants need, but they help build up and improve the soil. 1.Chicken Manure. Most vegetables in an annual garden a fairly heavy nitrogen feeds, especially your tomatoes and Brassica families (think cauliflower, broccoli, cabbage etc.) The organic fertilizer for vegetables I always use is chicken manure (along with proper crop rotation). One caution to using chicken manure as fertilizer, chicken manure is both urine and poop, it doesn’t come out separately, which means its very high in nitrogen. This makes it an excellent fertilizer but it also means its very hot (a lot of nitrogen) when it’s fresh. You need to let chicken manure sit and age for preferably a year, with some other brown matter like leaves, sawdust, or top soil, before adding it to your soil. If you don’t, you run the risk of burning your plants. The nitrogen level will be too high and the plants will die. 2. Other animal manure. Best fertilizer for berries and fruit plants, using composted manure from cattle, llama, and/or horses has always worked well for us and friends. Usually it’s mixed in with straw or hay from the stalls and pens. You want to use older or composted manure as the heat from composting down will help kill any seeds that may be in the manure from their feed (aka less weeds!). If you do go the full soil test route, you can add the specific nutrients that show low based on your test results. 5. Fish concentrate. I prefer to do a liquid fertilizer for my smaller container plants. They need to be fed more often than the regular garden so a liquid fertilizer is perfect. This is an organic fish fertilizer concentrate if you don’t have the means to make your own liquid tea. For our fruit plants and annual vegetable garden, we fertilize once a year in the spring. 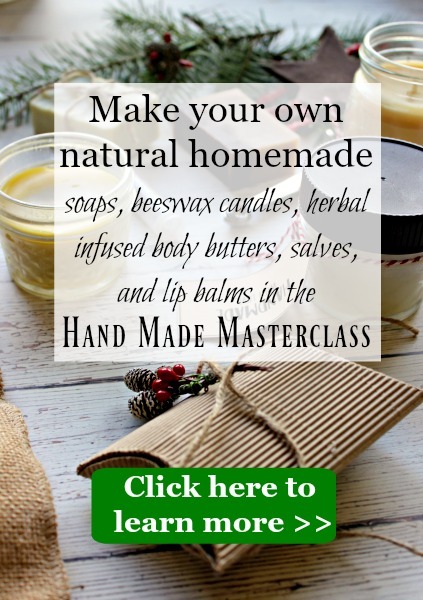 Want to watch the video and the mini tour of our homestead? We work a compost and chicken manure layer into our annual vegetable garden soil in the late winter/early spring. This allows me to still harvest our fall crops into winter and still leaves time to plant cool weather spring crops like beets, kale, and snow peas, just to name a few. 6.Cover crops are another tool we use for our annual vegetable garden soil. Cover crop options are annual rye grass (this has a long root for breaking up hard soil and also germinates rather fast), buckwheat, clover, oats, and hairy vetch. Hairy vetch is actually part of the legume family and has a pretty purple flower. It’s important we take good care of our soil, as its the very foundation for all the food we raise here on our homestead, not just the fruit and vegetables, but also the pasture for our grass-fed beef cattle, pigs, and chickens. Next week we’ll dive in to how we manage our pasture and the natural organic methods we use to improve it’s health, along with covering ph levels, what they mean for your plants, and how to amend it, or if you should. 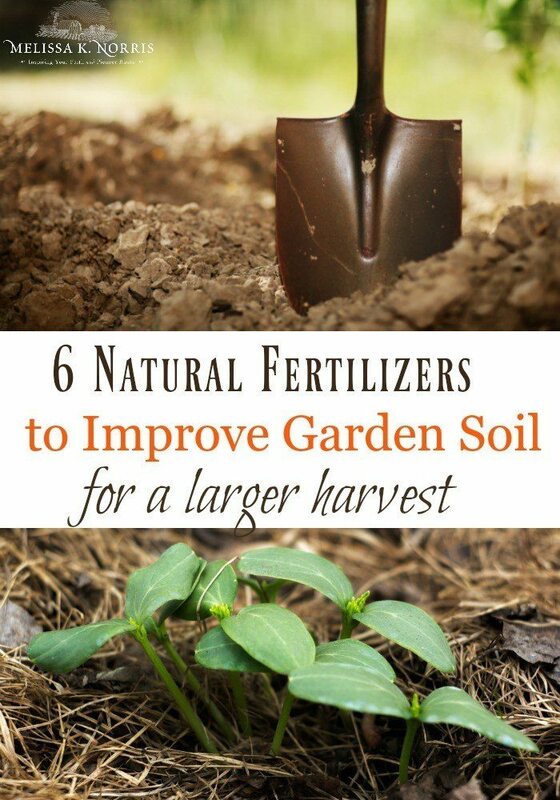 There you have it, 6 natural fertilizers to improve garden soil, which is Part 1, be sure to check back next week for Part 2 of this series. What natural ways do you use to improve your garden soil?